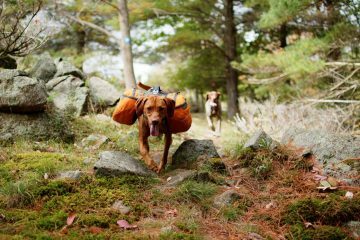 Here at The Adventure Junkies, we’ve identified eight tips that will get you out on the trails with your favorite furry friend in no time at all. Your dog’s dietary requirements, the gear that can make the process so much easier, and how to ensure you both return home safely. All are explained here simply and methodically. Before long, you’ll be wondering why you never tried it earlier! If you’re lucky enough to have your own ranch or other large property, then you can skip straight to the next section! However, most us will be wanting to take our furry companions to hike in publicly owned national or state parks and forests. For the safety of the public and to protect the native flora and fauna for future generations, it is understandable that park authorities may put in place limitations on whether dogs are permitted. You may also find that there are requirements for dogs to be kept on-lead at all times or in specific areas. These access requirements are normally very clearly outlined on the park website. So to prevent any disappointment and wasted effort, it’s worth doing a quick check before starting your hiking preparations. 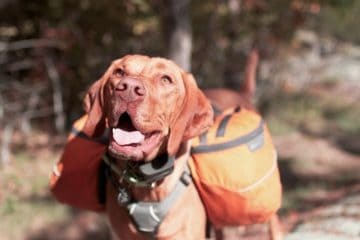 Putting some time aside to prepare for your hike is the best way of guaranteeing that both you and your dog will have the time of your life, returning home fit and healthy! We often like to think that our dogs have unlimited energy but the reality is that just like us, they too have their limits (as much as they wouldn’t want to admit it!). 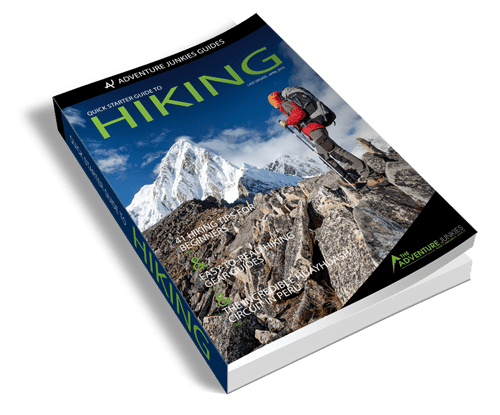 A training regime may be needed in the weeks leading up to a hike, starting with short outings and building from there. This will toughen up your dog’s paws, build their stamina and ensure they aren’t carrying too much excess weight. 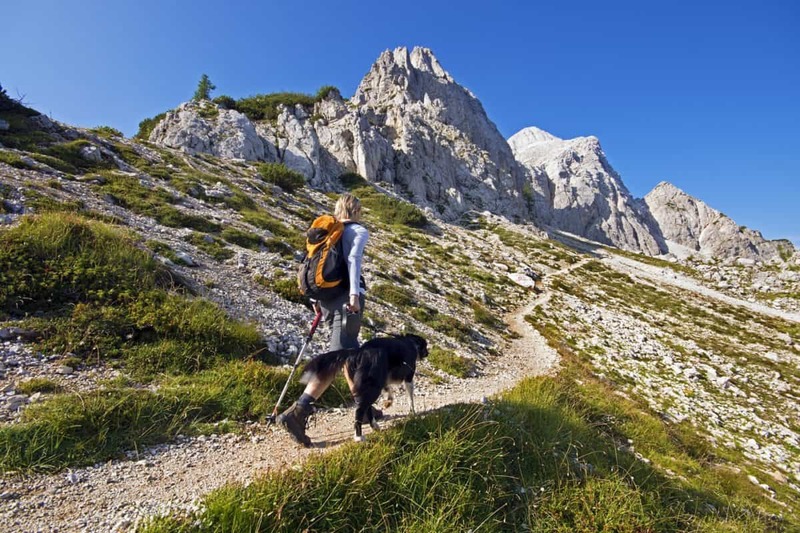 For overnight hikes, you should also consider paying the vet a quick visit for a general checkup and to ensure your dog’s vaccinations are all up to date. The wild environment will expose your dog to all sorts of insects, plants and diseases that they may never encounter back at home. At the very least, you should consider a course of flea and tick protection. If you’re comfortable trimming your dog’s nails, then doing this before you go could save you a lot of heartache and money on an overnight hike. Sharp nails and fragile tent materials don’t play well together, and you may end up with an unexpected hole in the middle of a rain storm! Lastly, and most importantly, if you have any plans of letting your dog off-leash for any duration whatsoever, take the time to train your dog so that they reliability and immediately respond to any verbal commands. There will be numerous hazards that your dog encounters on a hike, from snakes to poisonous vegetation to cliff edges. If you are going to give your dog the freedom to explore, then it is critical that you can also save them from danger. Encountering a wild animal on your hike and having your dog slip their collar is the last thing you need! Give their collar a quick check to ensure that it’s fitted securely (a width of one to two fingers between their neck and the collar is perfect), and that it is in good condition. Likewise, check their lead for any nicks or loose threads, and make sure that metal fasteners are in good working order. A long lead can also be a good idea of you want your dog to have more freedom, but just remember that the longer it is the more likely it will get snagged on bushes and other objects! 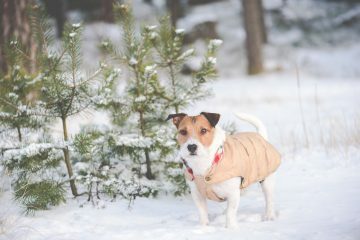 If the conditions are likely to be cold or wet then you might want to purchase a jacket for your dog to wear. Dog fur absorbs water, and in windy conditions you can find hypothermia setting in very quickly. 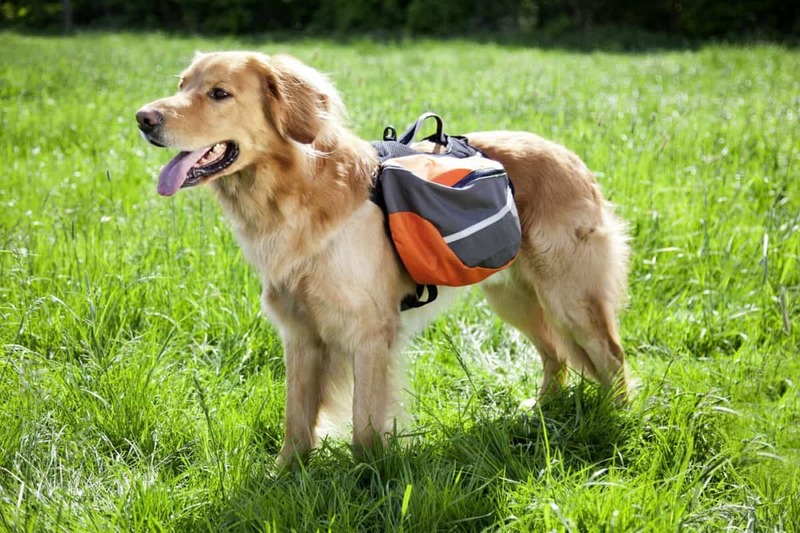 If it’s going to be a long hike, then you might also want to think about strapping a small harness to your dog’s back for carrying small items. A healthy dog in good condition can generally carry 10-20 percent of their body weight with ease. We know how much they love to get involved, and if it means you can carry less, then why not?! Hiking takes a lot of energy for both humans AND dogs. For day hikes, you may want to give your dog a little bit of extra food in their last meal. 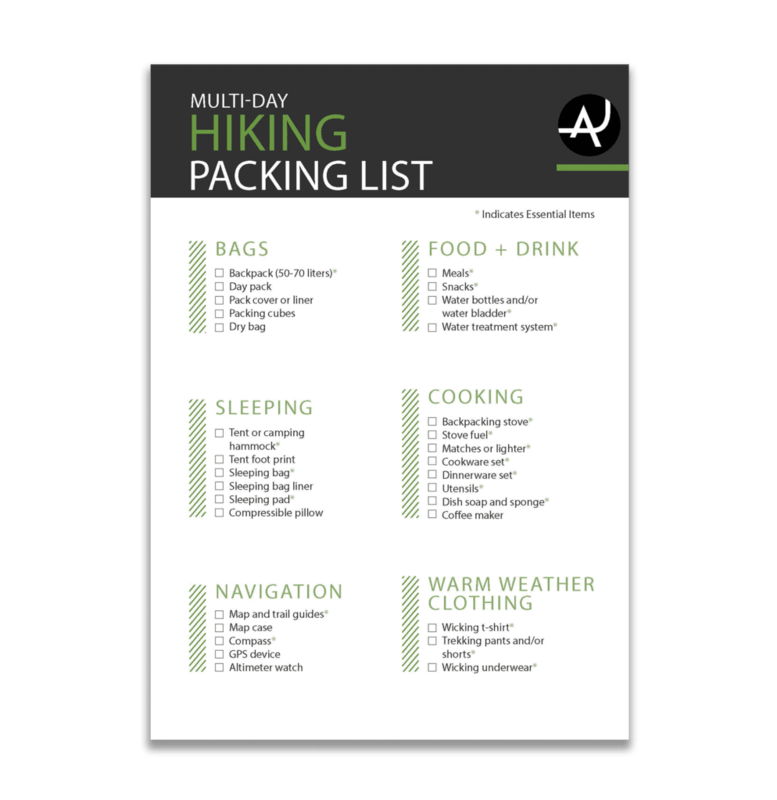 For overnight hikes, you will need to plan on taking at least as much food as you would normally feed them at home, plus a little bit more to account for all the walking they’ll be doing. Don’t forget to pack a small, lightweight bowl as well! A plentiful supply of water is critical to your dog’s health. Sometimes, you can rely on natural water sources like streams and lakes. In dry locations, this won’t always be possible and you’ll need to carry as much as is required. A good rule of thumb per day is to bring two ounces of water for every pound that your dog weighs. 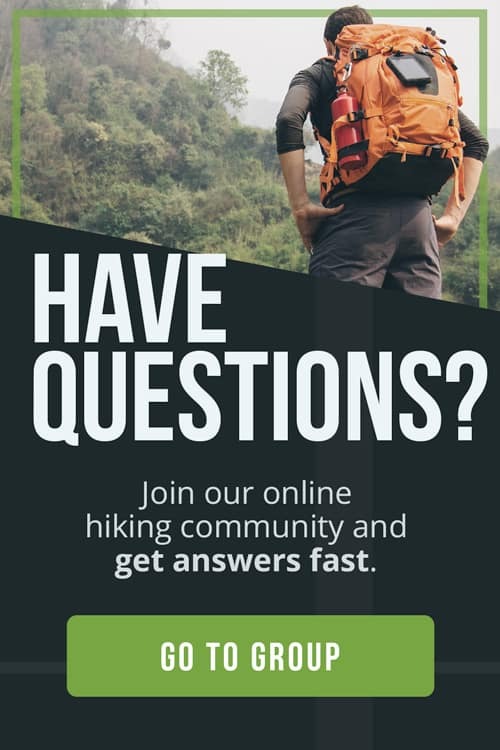 For day hikes, this isn’t an issue. But on an overnight hike, you need to have a think about your sleeping arrangements. Inside the tent? Outside the tent? If inside is the preference, then a small foam mattress and blanket will provide a comfortable, warm surface on which your dog can sleep, while also protecting the tent floor. Remember to introduce your dog to your tent before you leave home. Finding out that your dog is terrified of the tent is not something you want to discover at sundown in the middle of the wilds! Sleeping outside the tent also has its own risks and considerations. Are bears a possibility? Will you need to attach the lead to a stake? Are mosquitoes or other insects likely? Only you know your dog well enough to decide whether this is the right option. While it’s unlikely that anything will go wrong, when it comes to the health of your dog, it’s always best to plan for every likely contingency. A small first aid kit may be worthwhile, ensuring it contains a tick remover and sunscreen. A consultation with your vet would be a great idea. They can advise further on what else may be worth including in the kit. A quick check of the weather and terrain is always a good idea as well. Dogs paws, particularly if they haven’t been hiking previously, can be soft and may easily burn on hot rocks or sand. They may look funny, but there are many varieties of dog shoes available on the market that can be fitted over the top of your dog’s paws providing great protection and grip! We all hate it but cleaning up after our dogs not only keeps the trail as natural as possible for other hikers, but also prevents the potential spread of disease through our protected parks. The best option is to take some small, tough, plastic bags with you on the hike. Double-bag the waste to prevent any unwanted accidents. Then, pack it away in a separate compartment of your backpack for disposal on your return to civilization. Another good option, particularly if you’re on an overnight hike, is to take a small shovel and dig a hole at least half a foot deep in which to dispose of the waste. You’ll be doing this for your own waste anyway, so this approach shouldn’t require too much extra effort. We know how tough our dogs are, or at least how tough they pretend to be! At every rest break and when you get home at the end of the hike, it’s important to give your dog an all-over health check. Are they limping? While petting them down can you feel any small lumps that suggest the possibility of a tick? Are their foot pads in good condition and not overly sensitive? Have they picked up any burrs or other vegetation in their fur that needs brushing out? If it’s been a long, hot and dirty day then you may even want to give your dog a quick bath or hose-down. And while you’re at it, you’ve created some great memories together so why not join in and cool yourself down at the same time? The perfect end to a great day!